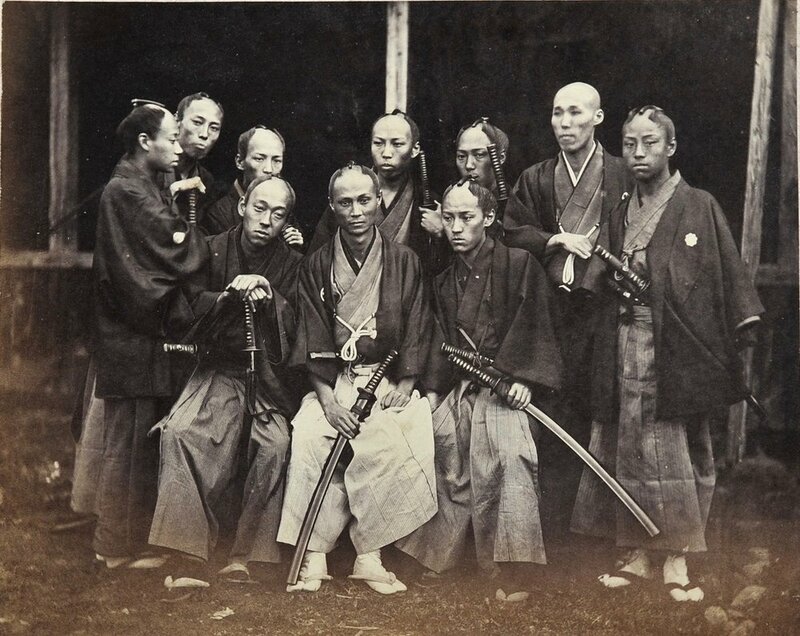 UENO Hikoma (1838-1904): GROUP OF SAMURAI SCHOLARS, Nagasaki, c.1864.. Albumen print from wet collodion negative, 110 x 140 mm. SUZUKI Shin’ichi I (1835-1919): SUZUKI Shin’ichi I (1835-1919): Portrait of Unidentified Samurai in Armour, Yokohama, c.1873-76. Albumen print from wet collodion negative, 259 x 198 mm.g. 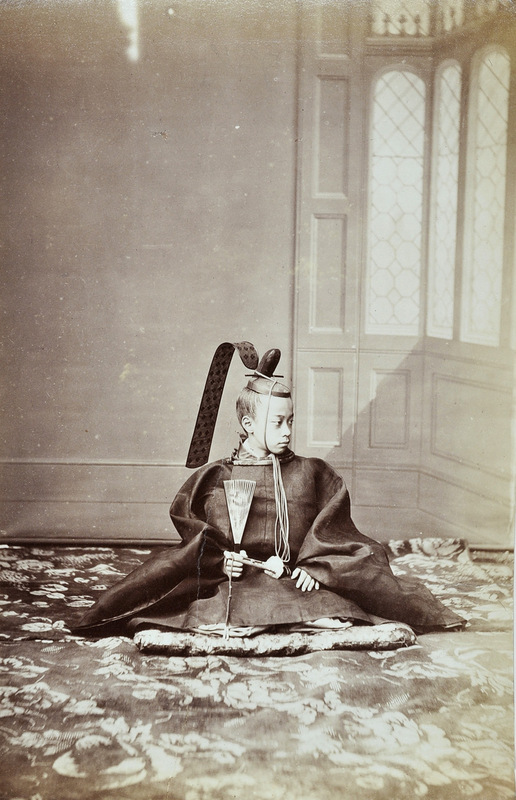 André-Adolphe-Eugène DISDÉRI (1819-1889): Portrait of TOKUGAWA Akitake (1853-1910), Paris, 1867. Albumen print from wet collodion negative.